A horizontal queen bed in Knotty Alder. 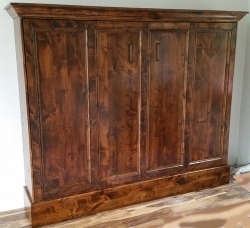 Our "Traditional" style with a custom four inset panel face design. 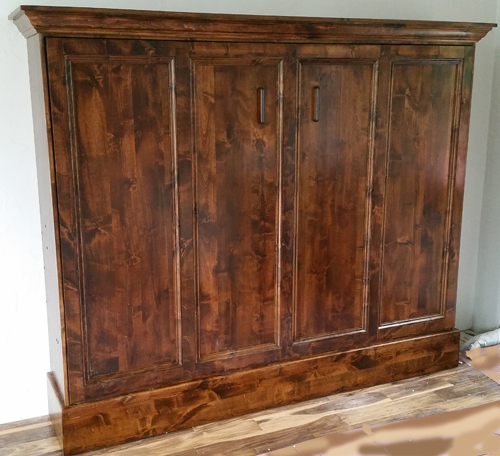 Large crown moulding and finished in a "honey" wood stain tone. Installed in a remodeled historic cabin in Breckenridge, CO.